This is a rectangular Balsam-Wool Blanket porcelain sign. 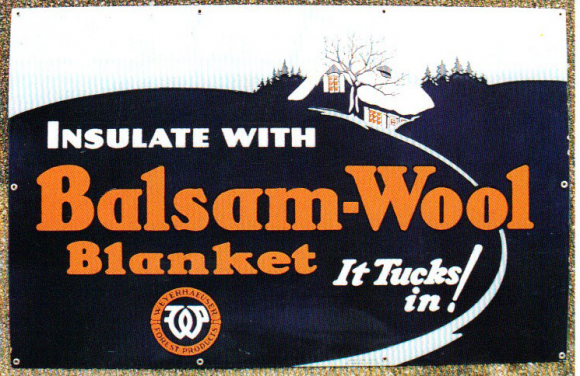 This particular Balsam-Wool Blanket sign is predominantly navy and white with orange text. It reads, “Insulate With Balsam-Wool Blanket, It Tucks In! Weyerhaeuser Forest Products” and features a snow capped house in a forest.